After 10 years working in retail and hospitality, Jesse Jarvis decided to branch out and start her own business. With her keen interest in flowers and art, a florist shop was the perfect choice. 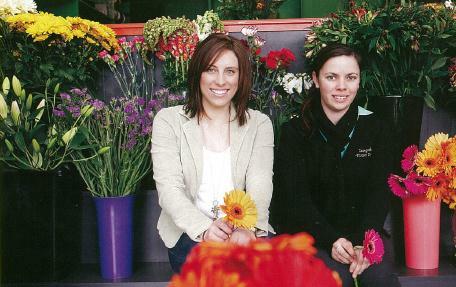 Jesse took over Leongatha Flower Power in 2010 with husband Wade as a silent business partner. The store sells fresh and silk flowers, giftware, soft toys, cards, sweets and floristry sundries. It serves the public and corporate clients and is a member of Interflora, which delivers interstate and overseas. The business is known for its terrific customer service, great range of beautifully arranged fresh flowers and its widespread local delivery area. But as a first-time business owner, Jesse felt she needed some help to ensure she was on the right track. 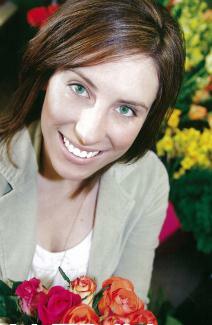 Jesse heard about the Small Business Mentoring Service through her local shire, and thought mentoring was a good idea. “I hadn’t been the owner of a business before and felt I could greatly benefit from it,” she said. After approaching the South Gippsland Shire Council and being referred to SBMS, Jesse was matched with mentor Leo Billington. Jesse had 16 sessions with Leo over 12 months, and they plan to remain in contact. The business had just started when the mentoring commenced. It had one apprentice and recently took on another. Jesse says she and Leo discussed all aspects of her operation including “general everyday business” which reassured her about what she was doing. “I worked in retail for 10 years … but I’d never been in business myself,” she says. Leo says marketing and business planning were a particular focus. “One example has been the nurturing towards using social media – which Jesse is now embracing with enthusiasm with further plans to extend this form of marketing,” he says. Between meetings Leo was impressed by Jesse’s follow up and willingness to learn. For example she realised early on the importance of tracking expenses. “As a result of that, and as she goes into her second year, she is well aware of where costs can be contained,” he says. Jesse says working with Leo greatly helped her and her business, particularly when it came to developing and implementing a business plan and improving her delegation skills. It also reduced her stress levels. Leo is pleased with Jesse’s enthusiasm and efforts so far. He says she is always working on ways to improve her business, based on his advice and her own ideas. “Jesse has consolidated many of her business strategies and operations to the point where now she is able to plan for the medium to long term,” he said. “Specific planning is now underway to employ an apprentice, which is part of succession planning and preparation.